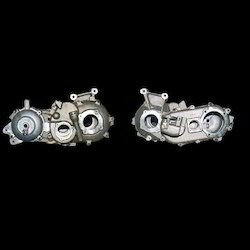 Leading Manufacturer of rear housing, main housing, gearbox housing assembly, gear box front housing and gearbox front housing for automotive from Pune. We are leading manufacturer and supplier of Rear Housing, These are of a high-quality material and different specifications. 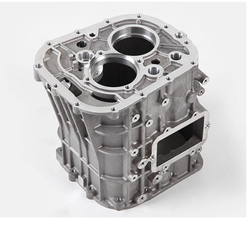 Main Housing is aluminum casting is the main item in gear box for diesel three wheelers auto. It comes in three variants. We are a unique name in the industry to provide our prestigious clients an exclusive range of Gearbox Housing Assembly. Offered housing assemblies are developed from the best quality material & modern techniques keeping in mind the industry norms. 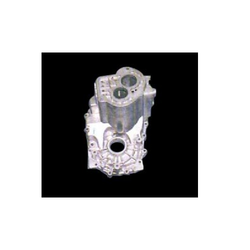 These housing assemblies are designed for coupling hydraulic pumps having ISO flanges to electric motors having metric flanges. Our housing assemblies are provided at market leading rates to customers. 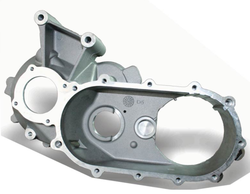 Owing to the efforts of our skilled professionals, we have been constantly involved in manufacturing and supplying the best quality Gear Box Front Housing. The product offered by our firm is manufactured using high-quality raw material at our sophisticated production unit. Our quality controllers rigorously test all our products on several parameters to ensure high quality. This product is available in various specifications as per the demands of our clients. With highly driven technical excellence and advanced infrastructure, we have been able to offer our clients a vast array of Gearbox Front Housing for Automotive. These products is available in various specifications as per the demands of our customers.